Bleuette 1954 Fenaison with Variations Sewing Pattern. 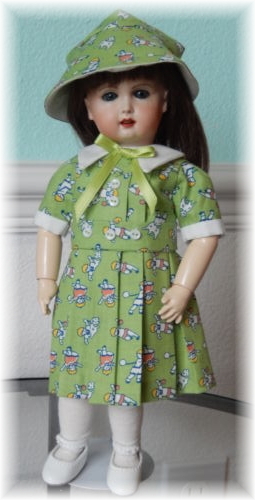 Linda made a dress from my free pattern for the AE doll and with a little tweaking, the Bleuette. I think she did a beautiful job and her Bleuette looks very happy to have a new dress!